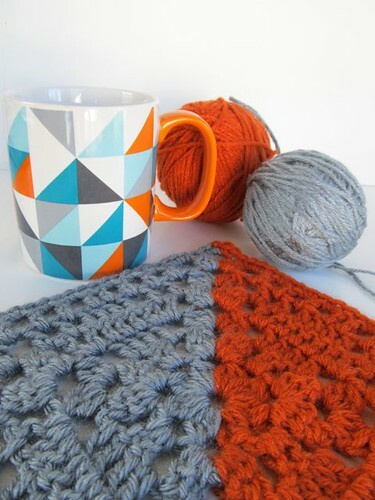 After looking over some patterns in The Great Granny Crochet Book that were similar to the Edie Eckman Motif #122 pattern, I think I figured out how to change colors each round without having to cut the yarn each time. But instead of doing the same pattern again, I decided to make a two colored diagonal block from a regular block... I know, I have a tendency to complicate things. I chose this pattern, "Beach Cover-Up" from The Great Granny Crochet Block, and combined methods from other blocks in this book with Edie Eckman's Motif #112 to use two colors on each round with minimal yarn cuts. 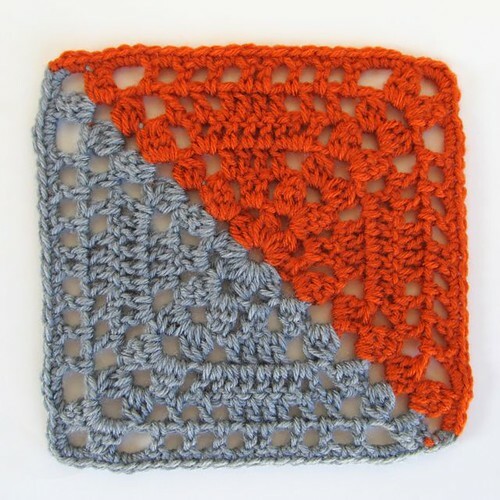 I think I was channeling Alessandra's scarf when it came time to choosing the colors for this square! Overall I'm pretty happy with how it turned out. However, I don't like that there is a noticeable difference between the corner where the round starts (and ends) and the corner where the color change is... But perhaps I'm nitpicking... Regardless, I think I have a better grasp on this technique! I was reading with fun and pleasure this post, when...GASP!! !....I saw the back link to my post!!! I started to blush and from giggling to chocking...!!! Thank you, my dear and lovely friend!!! I feel so overwhelmed when this kind of things happens!! Anyway, your block is beautiful and well done!! I think you've found the right solution!!! 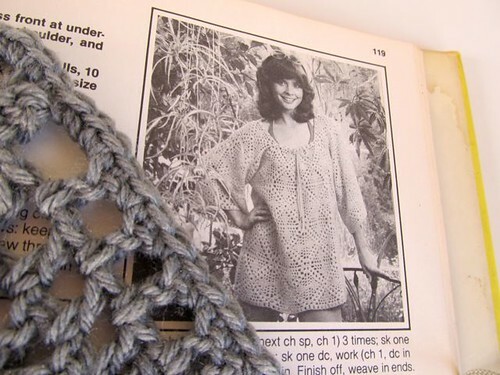 I can't make one from this particular pattern since it isn't mine.... but I've been thinking of coming up with a similar pattern, so I'll see what I can do!